BUY THE BOOK! Available now from Amazon. A strange woman passing through the village of Hob Glen dies a sudden and violent death, leaving something evil behind. Now young Soolie Beetch is cursed with deadly powers she can’t control and a golden-eyed child haunting her dreams. Fighting for her freedom and her life, an ordinary girl must resort to extraordinary measures to save her family and her town. Searching for answers, Soolie journeys to the dazzling city of Ravus where the dead walk among the living, and the living have started going missing. Pursued by monsters and racing against time, she must use all her courage and determination to unwind a dark mystery that threatens the lives and souls of everyone she loves. 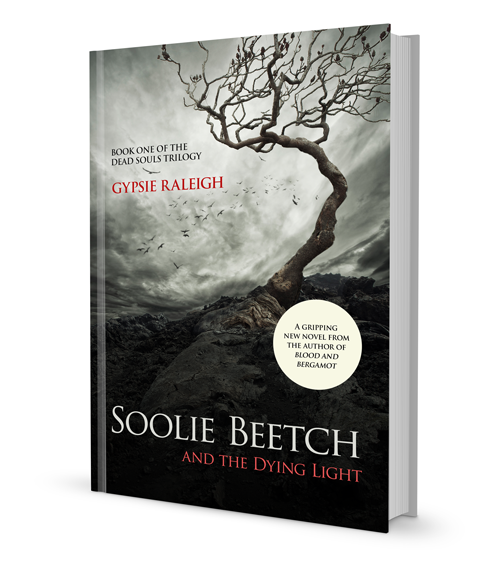 Fast-paced, daring and vividly written, Soolie Beetch and the Dying Light hooks the reader from page one and provides a breathtaking ride to a shocking climax.